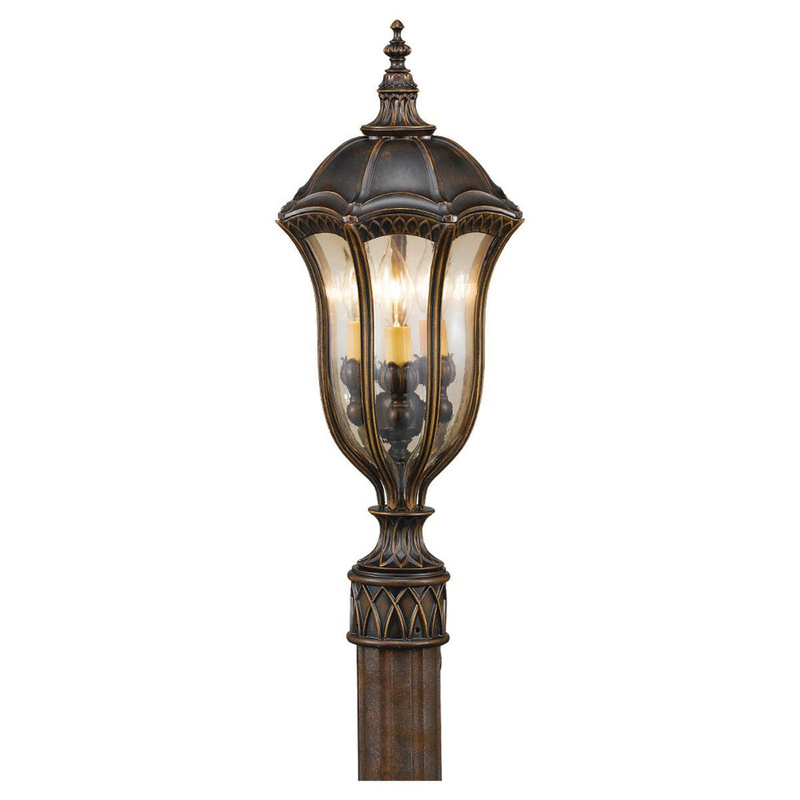 Murfeiss Baton Rouge Collection Outdoor post lantern in oriental walnut finish, features aluminum construction. Gold luster tinted glass panel shade measuring 1-Inch Dia x 9-3/4-Inch, brings elegance to the home. Lantern employs three 60-Watt candelabra socket B Torpedo bulbs that have voltage rating of 120-Volt AC and power rating of 180-Watts. It measures 10-Inch Dia x 22-Inch. Lantern is UL listed.